wow, you are on a roll! Very nice, and wow love teh blue!! Really nice card. Love the turkey. I love this, love the hat a lot, you go girl!! love the layers. 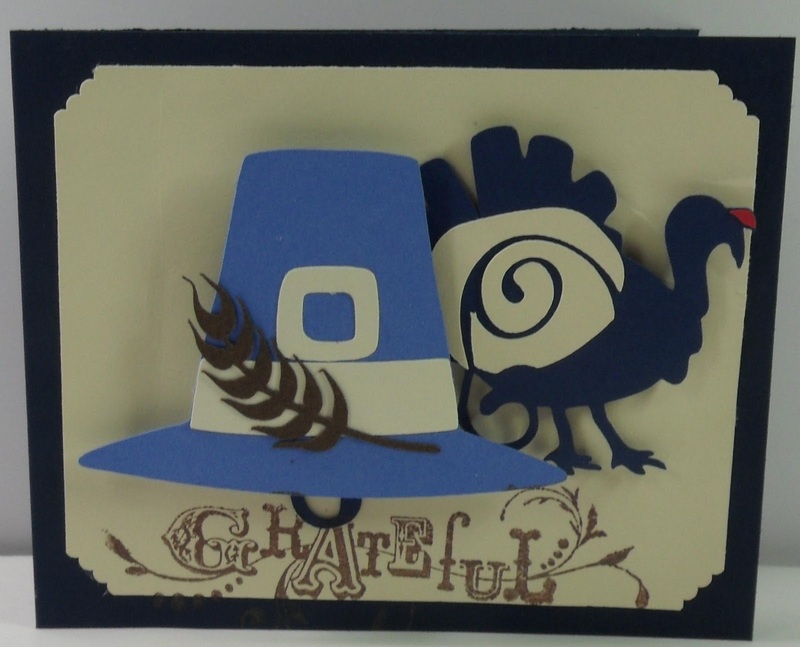 were these the stamps or did you have a cart to make the hat and turkey? love the colors.very cute thanksgiving card. Please visit my blog for an award. WOW!!! I just love this card. The design,colors, sentiment, everything is just superior.